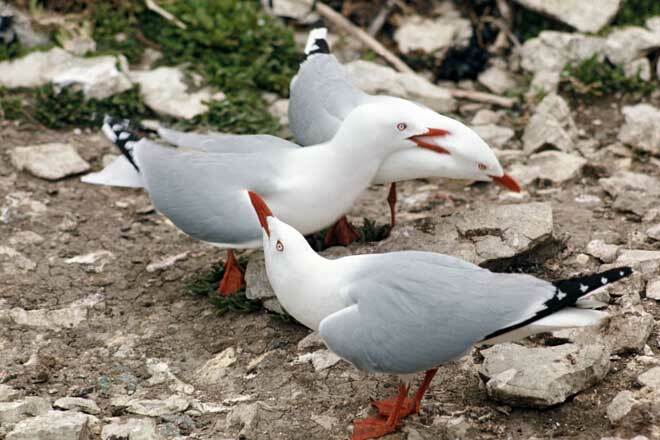 Red-billed gulls prepare for breeding in October, engaging in courtship behaviour. Pairs build a nest of seaweed or grasses before the female lays two or three eggs. There are more females than males in the breeding population, as females live longer. After mating, some males move on to a new partner, and two females might create pair bonds and raise the chicks together. This is the case for about 6% of nests.